Experience some big time Cuban style flavor in a pocket friendly size with the enormously popular Montecristo Habanitos. These little 3.62 x 24 cigarillos come to you from one of world’s most respected leaders in cigar manufacturing. Delivering nothing short of premium excellence, the Habanito show cases a blend of aged Dominican fillers topped off with a golden brown, creamy smooth Connecticut Shade wrapper. Characterized by refined notes of warm roasted almond, cedar, caramel, and sweet coconut accents, each stick strikes the ideal balance between rich taste, fragrant aroma, and a smooth draw. 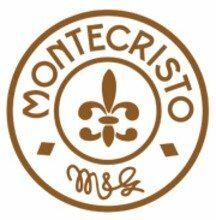 When you are shopping for your favorite cigars online at JR, be sure to add (5 Packs of 6) of the Montecristo Habanito to your cart. I've been buying Habanitos for a few years and have been very happy with them until the past 6-8 months. I've been getting packs with only 5 cigars in stead of 6 (about 8 packs), wormy cigars (about 5), and cigars that are either wrapped too tight or too loose to smoke. I'm looking for an alternative right now. The Habanito is a nice little cigar for a quick puff. It is mild but has more flavor than some other cigarros. With the smaller ring size, you have to be a bit careful not to overdraw and finish the cigar in 5 puffs. These are good for a 5-10 minute smoke. For a smart, timely, well fabricated, tasty and always good smoke. Timely is the word. They are small .. but the mild and very tasty. Just right for a quick relaxing smoke. 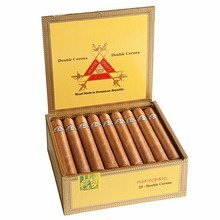 I bought these cigars by mistake, thinking they were Memories. They are delicious micro mini cigars, but the price is just crazy. 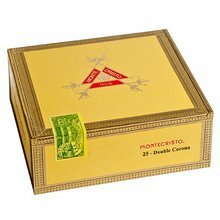 They are more expensive than the very comparable, but much more substantial Montecristo Memories. Each Habanito lasts 10 minutes at best, at the cost of $1.50 per cigar. That is some expensive smoking! Buy the Memories instead. They are about $1.20 per cigar and last a good half hour each. simply the best! my personal fave on the site. yummy. Great little cuban. Small cigar packed with flavor. Great draw, even burn, and solid 20 to 25 minute smoke. Getting mutiple packs for just over 30$ beats any of your local stores where they are like 12 to 17$ per pack. Great cigar, great buy! I love these little cigars. They're great for lunch break or needing a quick smoke.